Gucci has announced the launching of its newest men’s watch that stands apart from the brand’s other watches, in collaboration with the Sowind Group (that produce Girard-Perregaux watches) as Gucci will be 93 years old when the watch comes out next year. The new model combines the finest Swiss watchmaking traditions with the Italian label's reputation for fashion. Interestingly, the 'diver' title is hard earned. 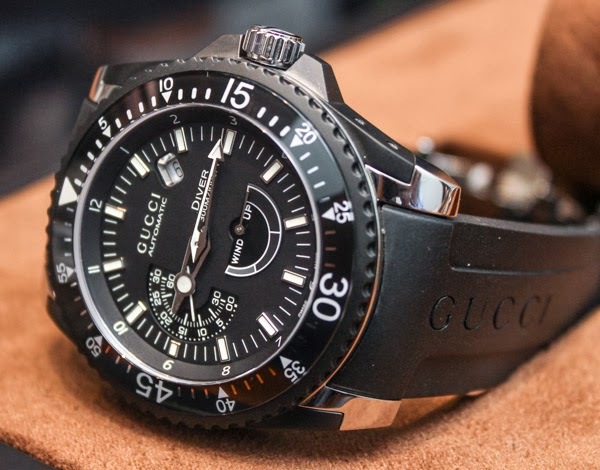 In order for watch models to be called diving watches, it must be water resistant to 100 metres, resistant to salt and fully function underwater, and feature a unidirectional rotating bezel—a test that the Gucci Dive passes with flying colours. 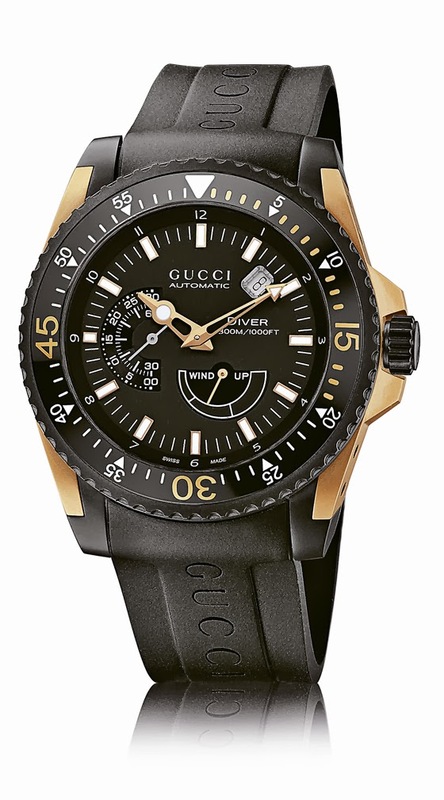 Due out next year, the Gucci Dive is an official divers’ watch, certified to adhere to ISO standard 6425. But what is most significant about it is its movement. The movement in the Gucci Dive is not a standard ETA movement, like those used in Gucci’s other mechanical watches, but a GP3300, a high-end automatic made by the Sowind Group. Two years ago, Sowind of Girard-Perregaux, became Gucci’s sister company when it was acquired by the luxury-goods conglomerate PPR. 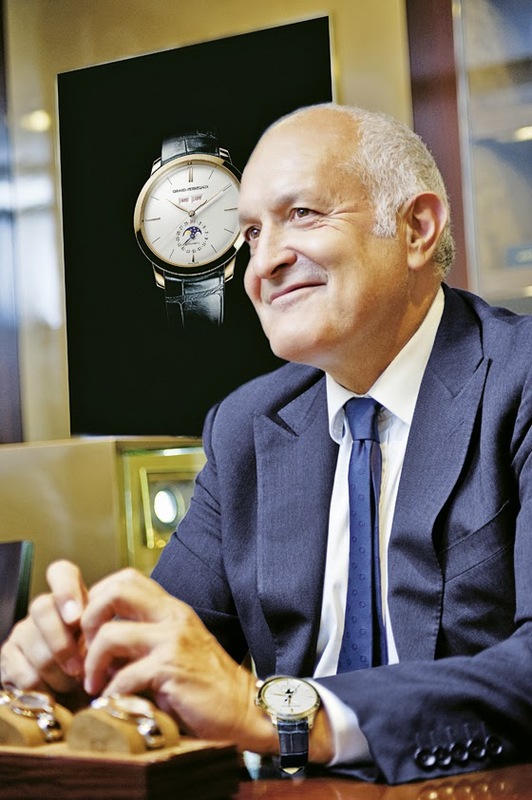 Michele Sofisti is the CEO of both Sowind and of Gucci’s watch division. The 3300 movement is Girard-Perregaux’s workhorse, used in such G-P watches as the Sea Hawk 1000M and Chrono Hawk 1000M (in which it is paired with a Dubois Dépraz chronograph module). 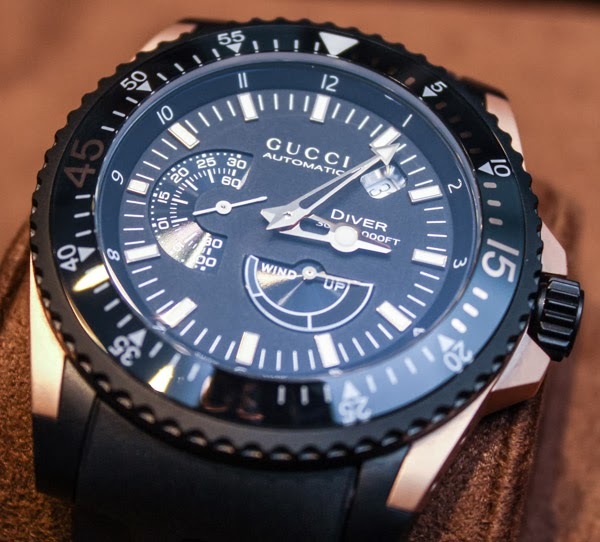 The Gucci Dive comes with interchangeable leather and rubber straps and is available in a Lumiova-treated black and pink gold versions. The steel version is at $8,600. And the rose-gold is at $12,600. Most other Gucci watches retail for less than $2,000. The rose-gold Dive is a limited edition of 93 pieces. In the Philippines, Gucci is exclusively distributed by Stores Specialists, Inc. (SSI) and is located at Greenbelt 4, Ayala Center and Rustan’s Tower Shangri-La Plaza Mall. Labels: Anything Chic, Chrono Hawk, Girard-Perregaux, Gucci, Gucci Dive, Gucci Diver, lifestyle, Michele Sofisti, rose-gold, Sea Hawk, Sowind Group, steel version, Stores Specialists, Stores Specialists Inc.
wow. that's kinda dollar there. but if worth's the price. and the brand is i think enough. the quality can already be gauranteed. That's a fine looking watch from Gucci. Gucci is well-known for delivering elegant clothes but I'm sure they will also deliver the goods when it comes to watches. Very expensive for a person like me. But for sure, some can afford this one. Very nice looking watch! looks so classy!! but the prices are real killers!! That's a really elegant watch from Gucci and they can really be a nice addition to some watch collection. These watches are quite pricey but they have the name and the looks to back them up. very nice watch haha lucky my husband is not fond of expensive watches I guess i saved a lot of money already. This is good for those of my foreign friends who dive a lot and have a overflowing money. looks like gucci is following lv's lead by introducing watches with more respectable movements. but gucci is still a luxury more than anything else (like a true watch company, for example) , and at that price point however, it would still be wiser to get a more reliable tool watch like the rolex submariner. Not stylish but the functionality wise Girard Perregaux Gucci watch that is nice to have. That diver's watch is such gem to have. Gara ng features and so is the durability. wow! looks really classy for a divers watch.. I'd think twice just trying it down under, even for free diving. Woah! The watches are so pretty and expensive, haha! I'm not a big fan of watches kaya I don't really dig into expensive items! Except when the items are bags and sandals. By the way, I love the design of the watch. Classy. How I wish to purchase one...even Rolex, but I think, I have to save more than what I expected to be. Nice post indeed!